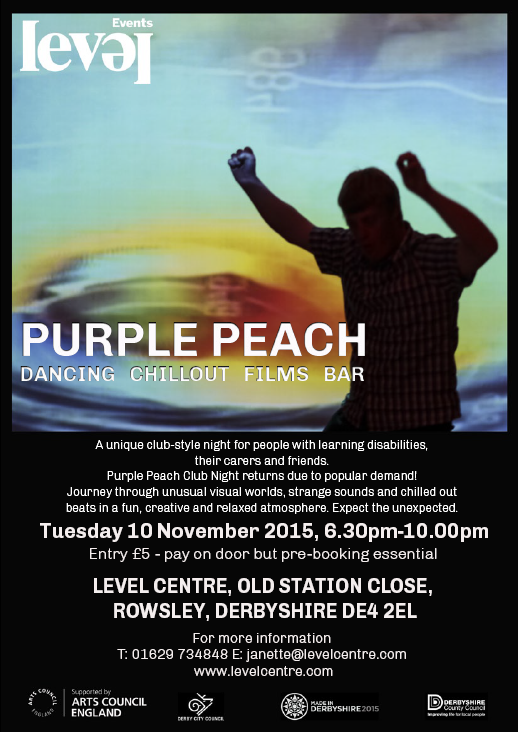 Check out Purple Peach tonight in Rowsley: a unique club-style night out for people with learning disabilities, their families, friends and careres. And if you go along to the event why not drop us a line at Accessible Derbyshire to let us know how it went? You can contact us at info@accessiblederbyshire.org.